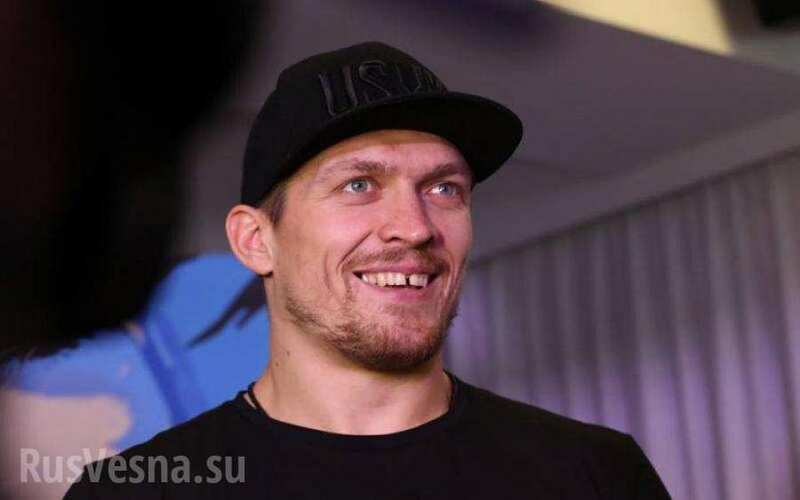 Ukrainian boxer Alexander Usik, world junior heavyweight champion, has responded sharply to provocation of journalists at a press conference in Kiev. Usik, a native of Crimea, has been pestered by journalists as to which country the Crimea belongs to, ever since the events of 2014. This time the boxer reacted sharply – “I’m not a parrot to repeat a hundred times – what, where, who when,” he said. “I have not been to the Crimea in about six months, I spent New Years Eve here in Kiev, because I’ve been living here for a long time,” – he switched to Ukrainian. “And when I go to my native beloved city (Simferopol) I have family there, I have people there who are close to me. Crimea is where I was born there, where I was baptized. Do not forget your roots. When you start to fly, do not forget who you crawled with,” the boxer added. “Tell me, please, what is your goal – to provoke me and say nonsense to me, so that later some people, who are not quite right in the head, would say: “Oh, you dog, traitor!” And everything else. Whom of you have I ever betrayed? What is your purpose in asking me such questions?” the sportsman was indignant. He added that he represents Ukraine all over the world. “It is the Ukrainian flag that is raised, the hymn plays in Ukrainian – that’s my answer to you, provocateurs,” – he said.